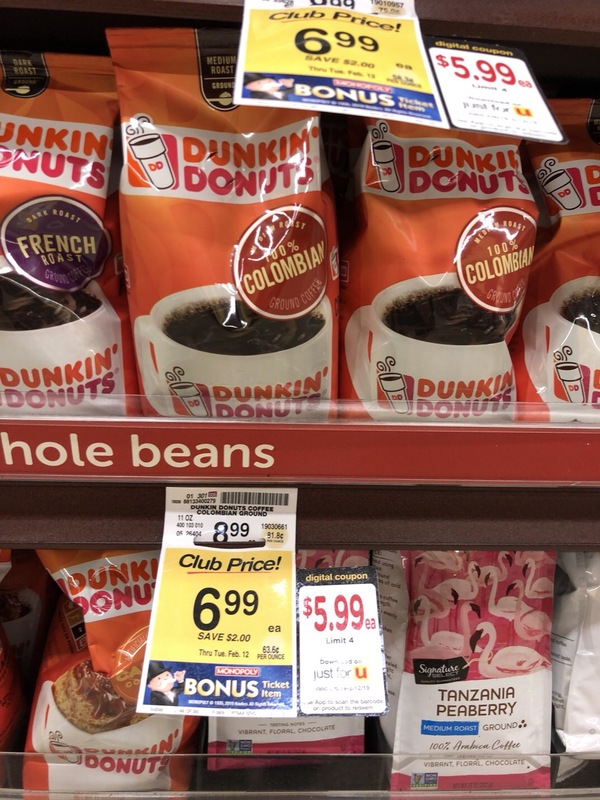 Safeway has Dunkin Donuts Kcups and Dunkin Donuts Ground Coffee on sale for $6.99 through February 12th. 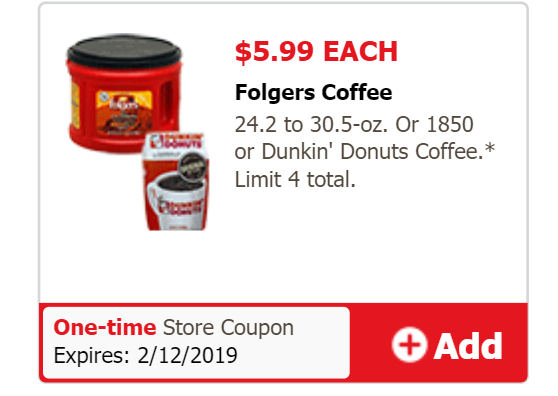 There is a $5.99 Each Dunkin Donuts Coffee Just For U digital coupon. The great thing is there is also a $2/2 Dunkin Donuts Coffee Products coupon in Retail Me Not 12/09/18. That will bring the price to $4.99 each when you buy 2. 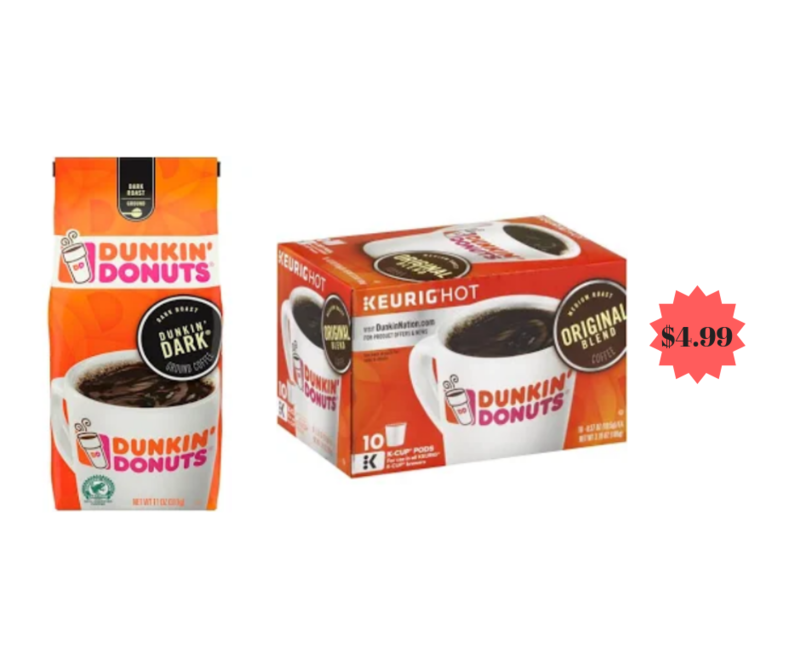 Dunkin Donuts Coffee is regularly $8.99, but with the sale and coupon you are saving 44%! 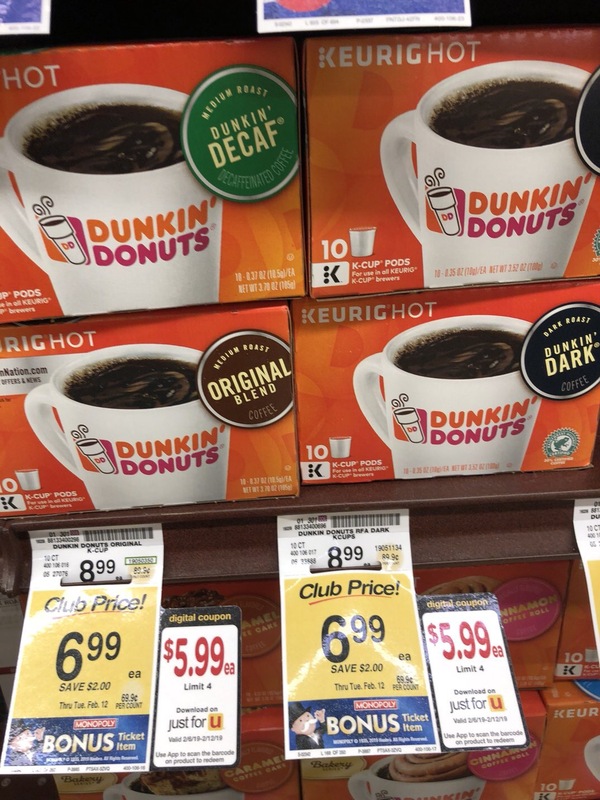 This is the perfect time to stock up on Dunkin Donuts Kcups or Dunkin Ground Coffee. Time to clip those coupons and head to Safeway.